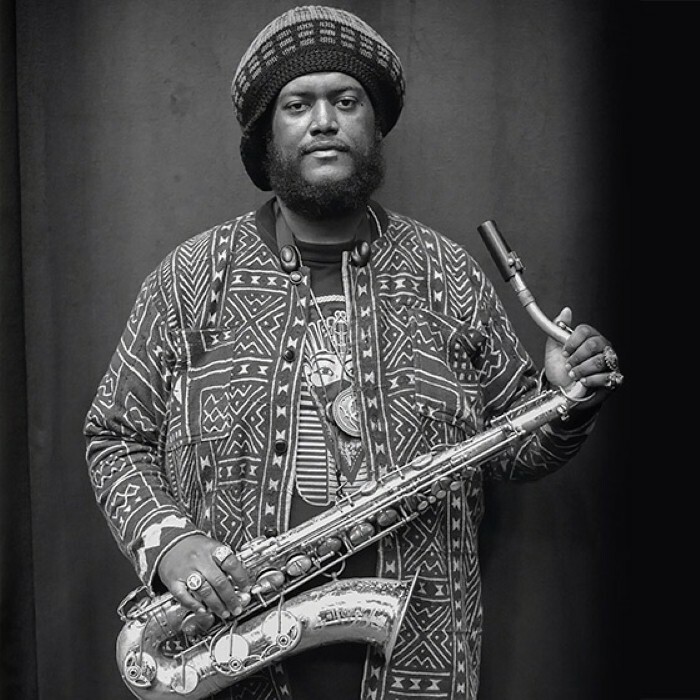 Kamasi Washington was born in Los Angeles, California, on February 2, 1981 to musical parents and educators, and was raised in Inglewood, California. He is a graduate of the Academy of Music of Alexander Hamilton High School in Beverlywood, Los Angeles. Washington next enrolled in UCLA's Department of Ethnomusicology, where he began playing with faculty members such as Kenny Burrell, Billy Higgins and band leader/trumpeter Gerald Wilson. Washington features in the album Young Jazz Giants in 2004. He has played along with a diverse group of musicians including Wayne Shorter, Herbie Hancock, Horace Tapscott, Gerald Wilson, Lauryn Hill, Nas, Snoop Dogg, George Duke, Chaka Khan, Flying Lotus, Thundercat, Mike Muir, Francisco Aguabella, the Pan Afrikaan People's Orchestra and Raphael Saadiq. Washington ventured into big band music when he joined the Gerald Wilson Orchestra for their 2006 album In My Time. Washington played saxophone on Kendrick Lamar's To Pimp a Butterfly. His debut solo recording, The Epic, was released in May 2015 to critical acclaim. His second studio album, Heaven and Earth, was released in June 2018, with a companion EP titled The Choice released a week later.